We are a leading Manufacturer of capsule filling machine for pharma industry from Mumbai, India. 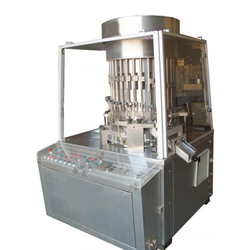 We are engaged in a provision of manufacturing and supplying a wide range of Capsule Filling Machine for Pharma Industry. These machines are accurately designed and ensures best possible protection of the operator that is also designed according to the C-GMP standards. Offered machines can be customized as per clients requirement.